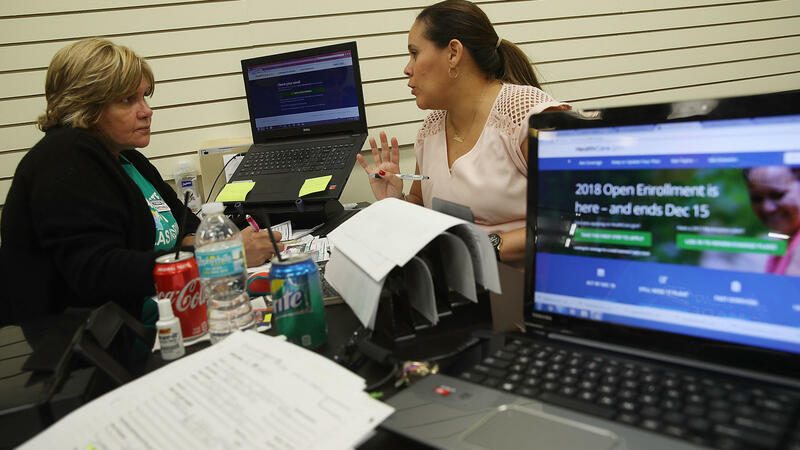 Margarita Mills (left), an insurance agent from Sunshine Life and Health Advisors, speaks with Daniela Morales as she shops for insurance under the Affordable Care Act at a store set up in the Mall of Americas, on Nov. 1, 2017, in Miami. It is unusual for the Justice Department to refuse to defend existing law in court challenges. In this case, 20 states sued the federal government in February claiming the individual mandate is unconstitutional after Congress zeroed out the tax penalty for not having health insurance in its 2017 tax cut law. The lawsuit, led by Texas Attorney General Ken Paxton, contends that without an individual mandate, the entirety of the ACA, commonly known as Obamacare, is unconstitutional. If that argument prevails in the courts, it would render unconstitutional Obamacare provisions that ban insurance companies from denying coverage to people with pre-existing conditions — arguably the most popular component of the 2010 health care law. As many as 130 million adults under age 65 in the U.S. have pre-existing conditions that could result in their not being able to get insurance coverage in the private market, according to the Department of Health and Human Services. 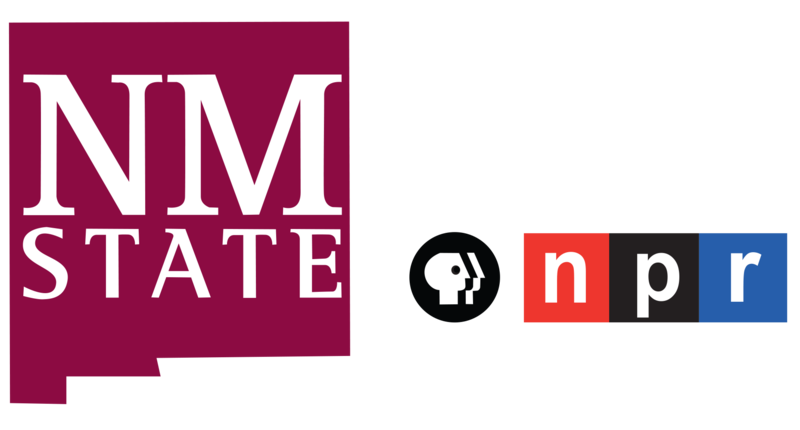 The Kaiser Family Foundation puts the number at about a quarter of the country's under-65 population. A Kaiser tracking poll in June 2017 showed 70 percent of adults want Congress to keep pre-existing condition protections. The Justice Department has opted not to defend existing law in the courts in other matters. For instance, in 2012 the Obama Justice Department said it would not defend the Defense of Marriage Act, which legally defined marriage as a union between a man and a woman for federal purposes. America's Health Insurance Plans, the trade association for health insurance companies, supports the pre-existing condition protections under the ACA. "Removing those provisions will result in renewed uncertainty in the individual market, create a patchwork of requirements in the states, cause rates to go even higher for older Americans and sicker patients, and make it challenging to introduce products and rates for 2019," AHIP said in a statement. AHIP said it will file an amicus brief in support of the law that "provides more detail about the harm that would come to millions of Americans if the request to invalidate the ACA is granted in whole or in part." On Capitol Hill, congressional Republicans' reaction to the Trump administration's decision was muted, with many lawmakers voicing skepticism that the courts would ultimately rule against a law already upheld by the Supreme Court. "We need to let that go forward and see if it goes anywhere," said Rep. Tom MacArthur, R-N.J. "I don't know if that legal logic will fly or not." MacArthur worked on legislation to continue pre-existing condition protections during the GOP's unsuccessful effort to repeal Obamacare last year. While the ACA has been the target of a sharply divided and partisan debate for nearly a decade, pre-existing protections are one of the most popular actions Congress has taken in modern times. "I think that's a pretty essential pact with the American people," said MacArthur. Health care is already a dominant issue in this year's elections, with voters regularly citing it as a leading determinant for how they will vote. "There is no doubt that Republicans are responsible for the rising cost of healthcare premiums and the high likelihood that many will no longer be able to afford basic care at all, and they will face serious blowback in the midterms," the House Democrats' campaign operation said in a statement.